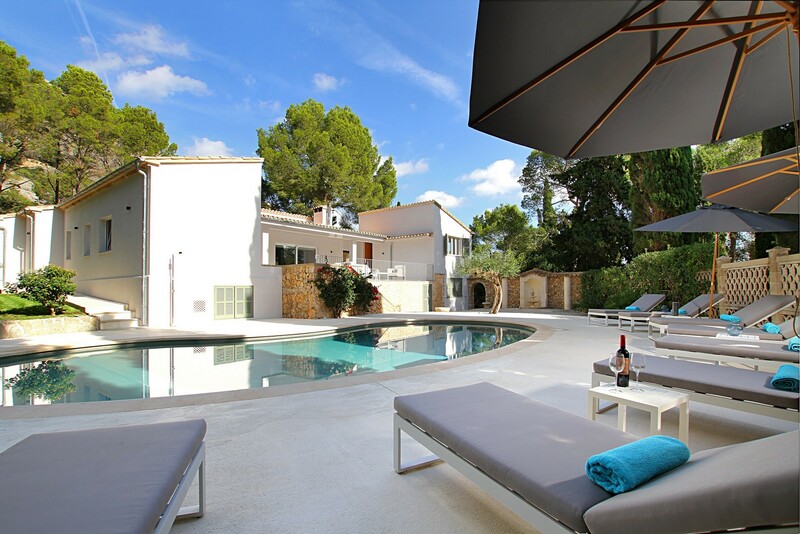 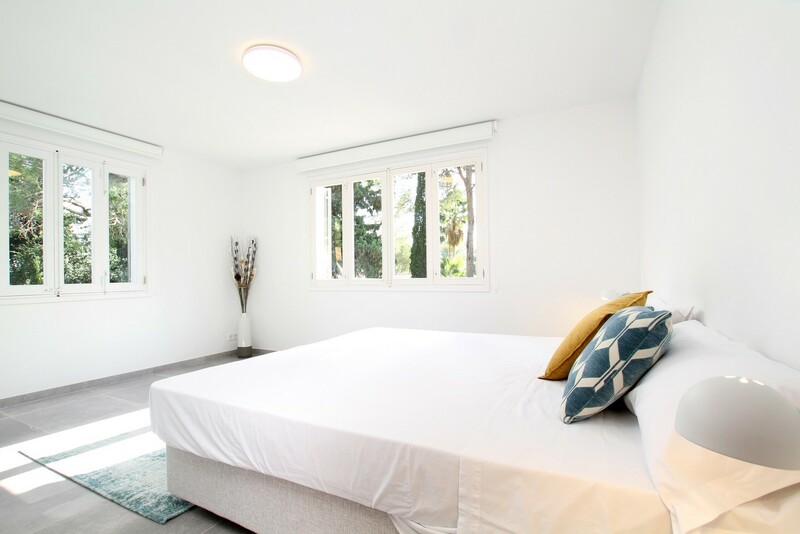 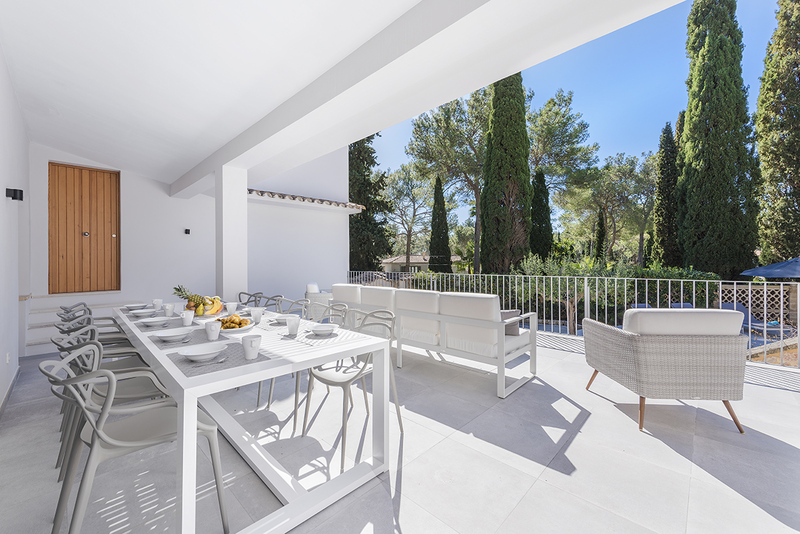 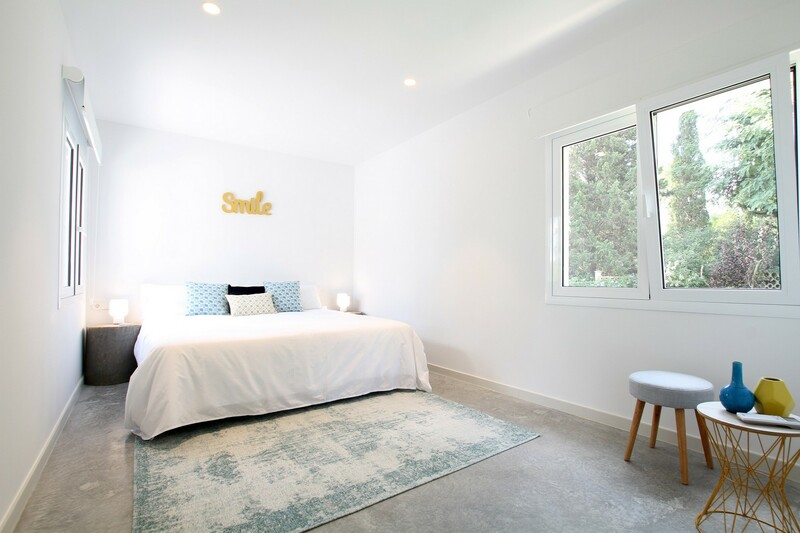 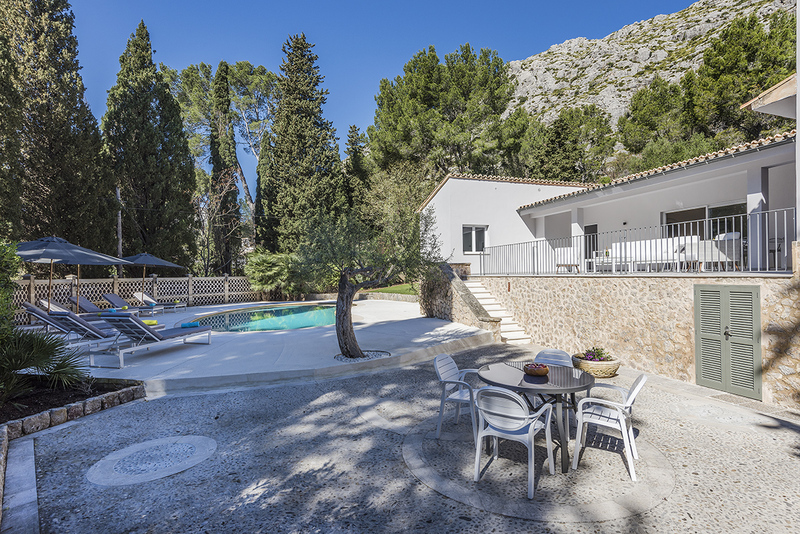 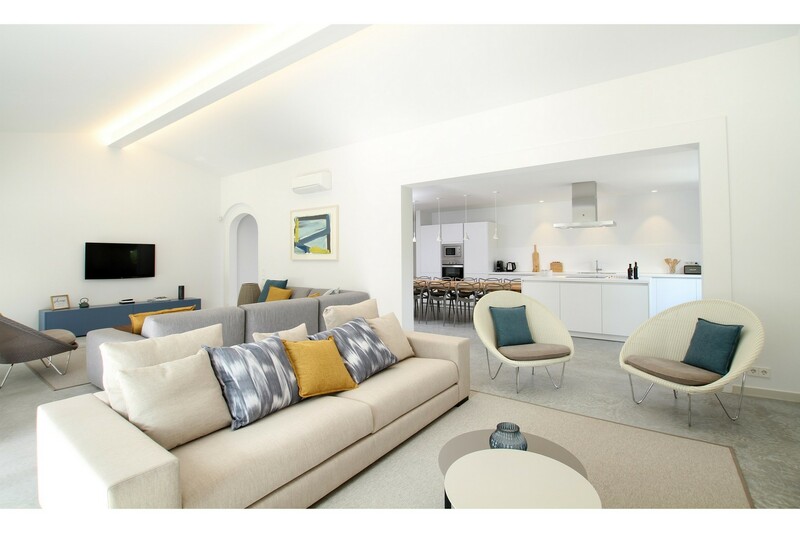 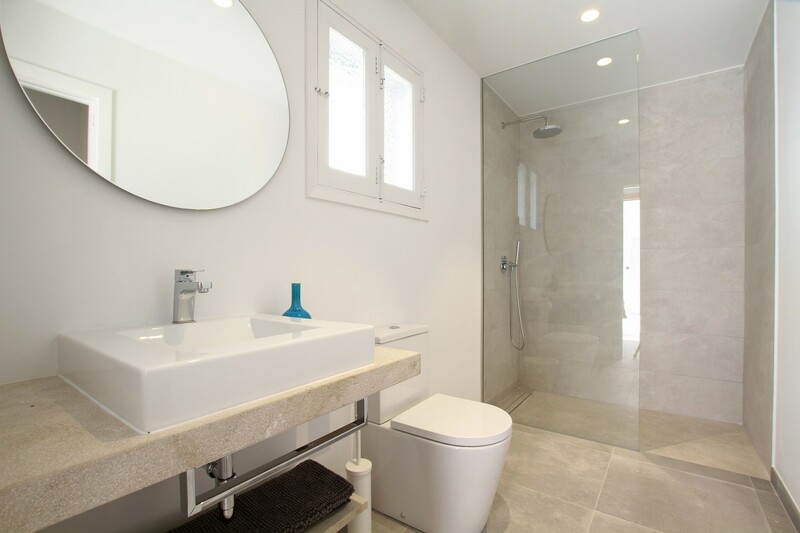 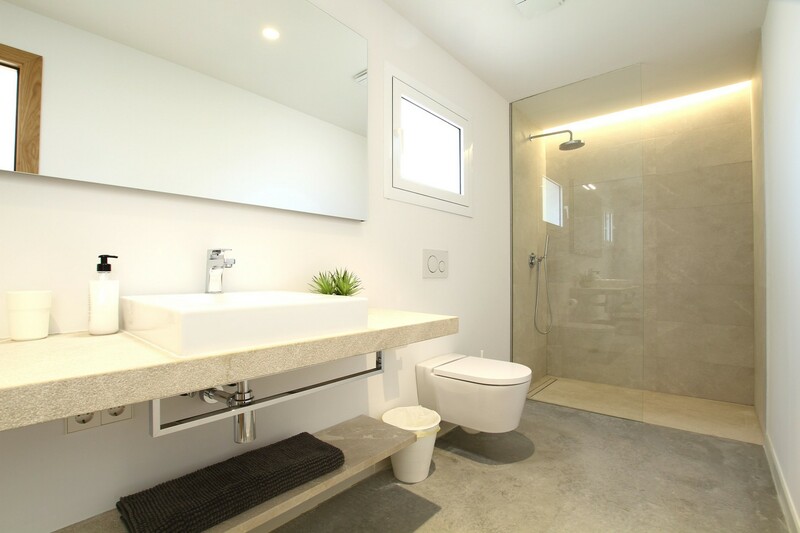 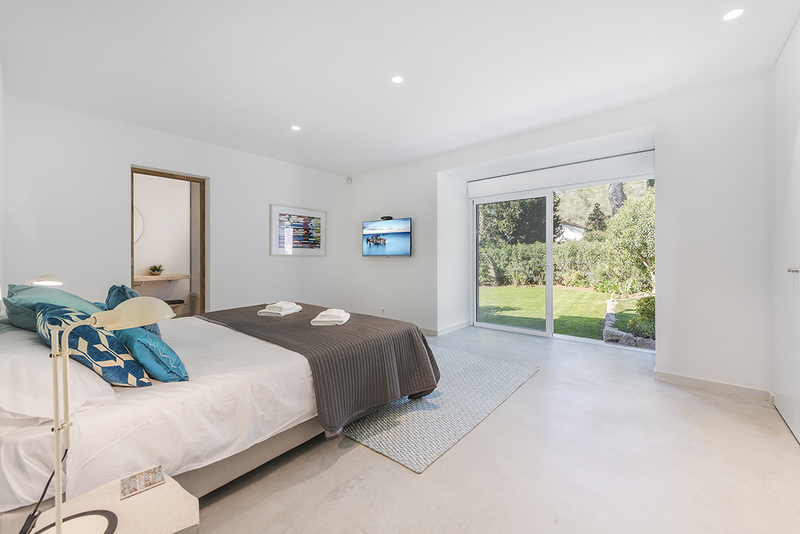 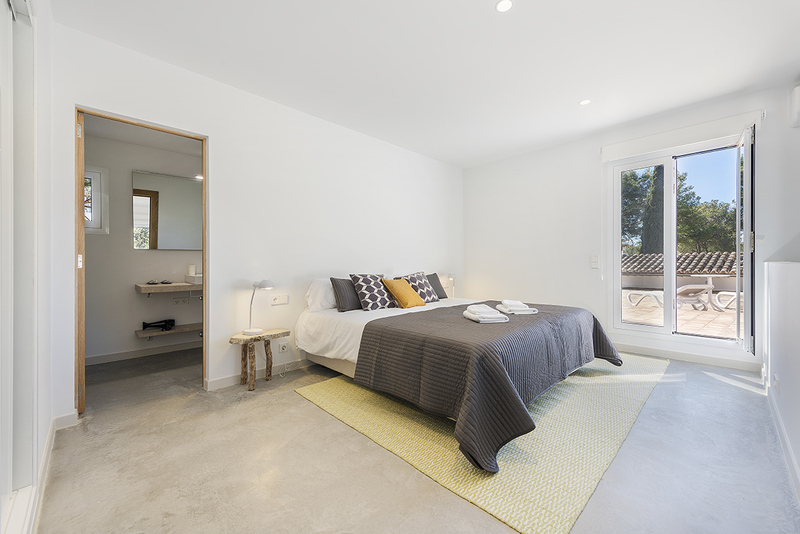 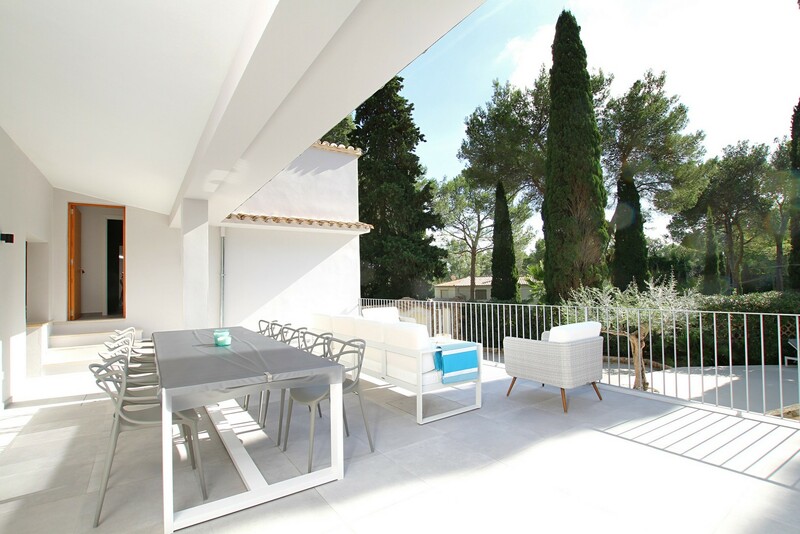 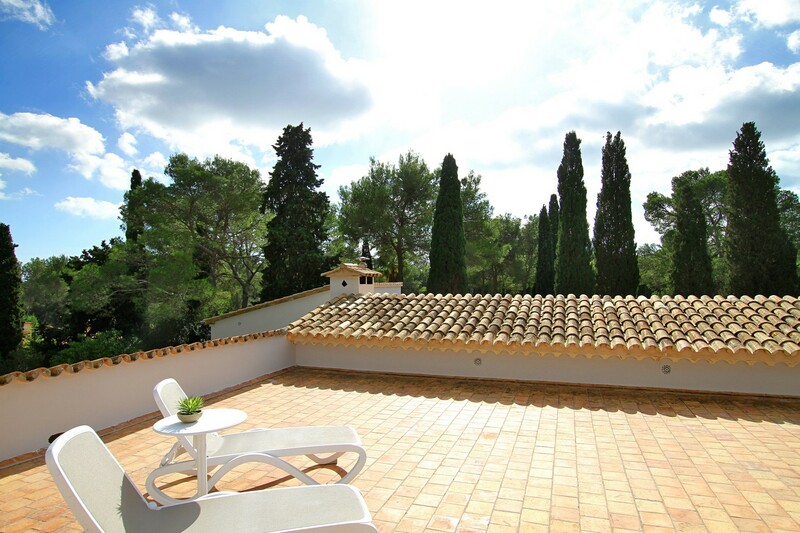 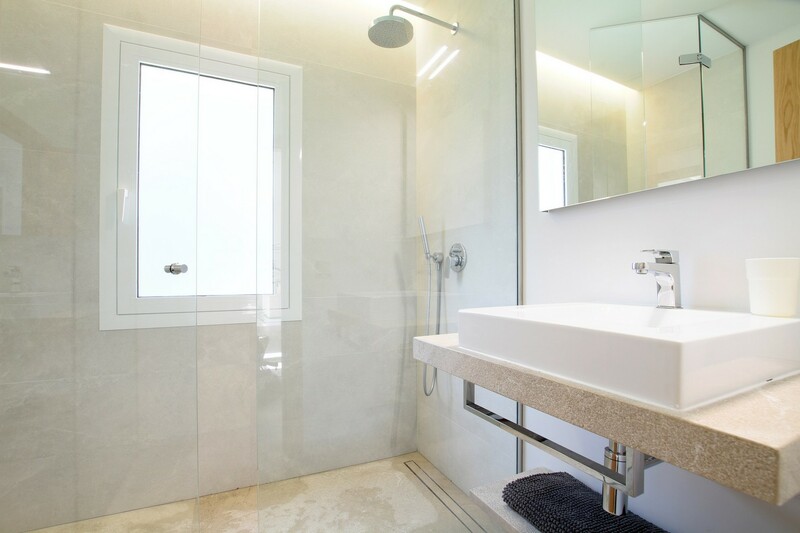 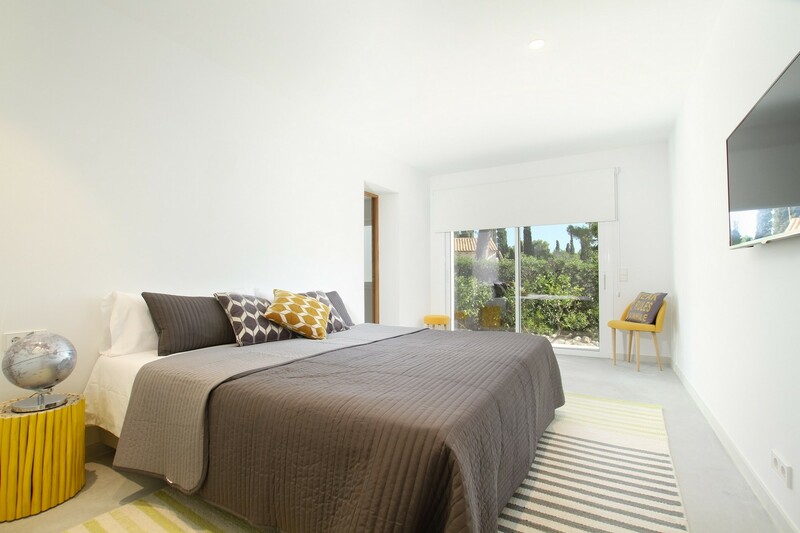 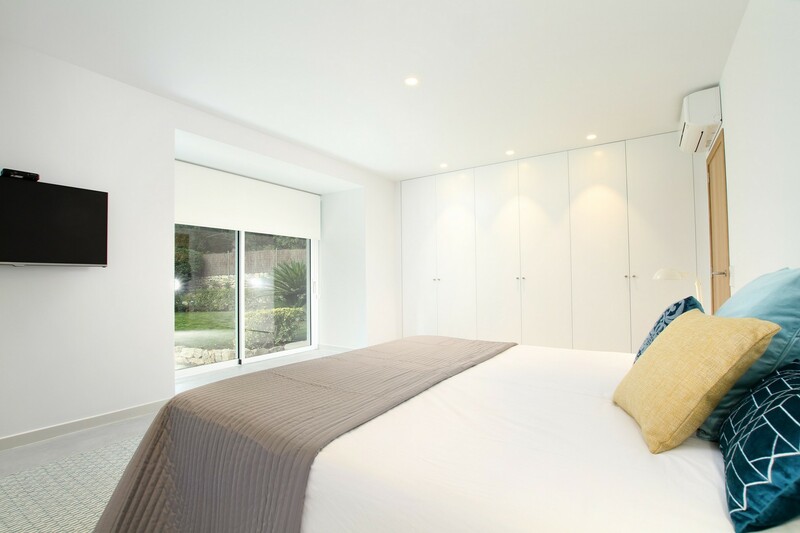 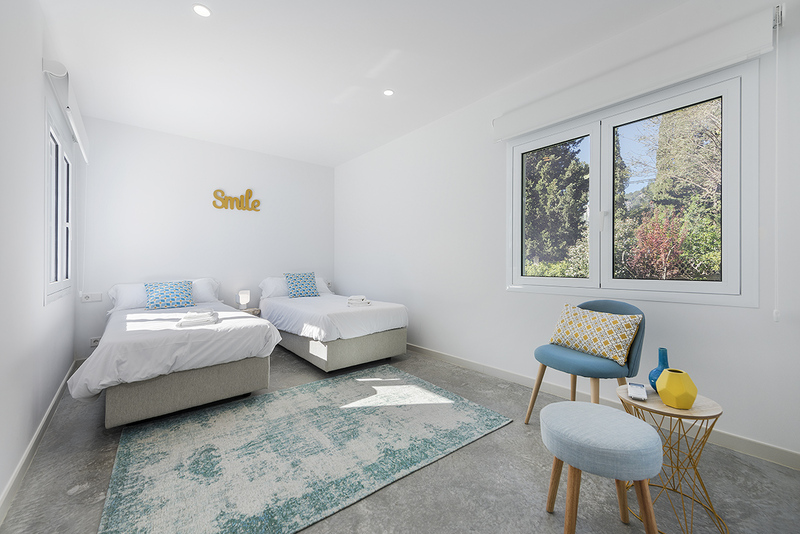 This is a newly renovated 6 bedroom holiday villa in the leafy residential area of La Font, just a leisurely walk from the charming Mallorcan village of Pollensa in northern Mallorca. 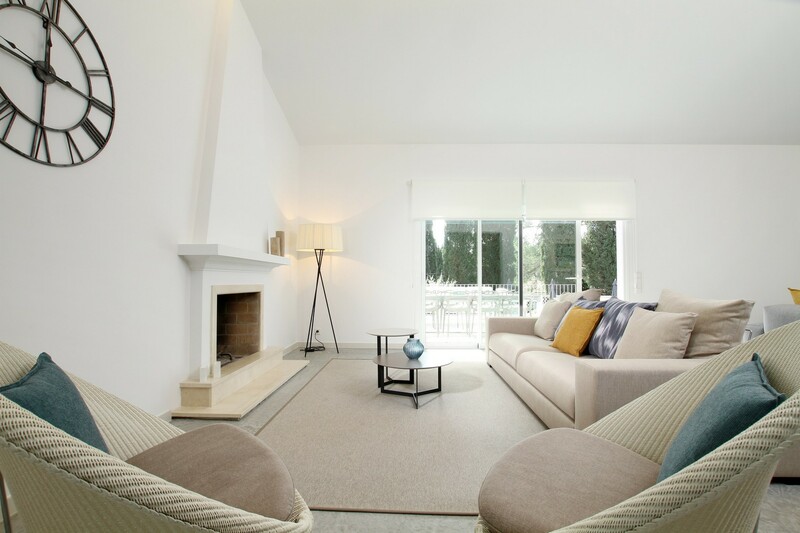 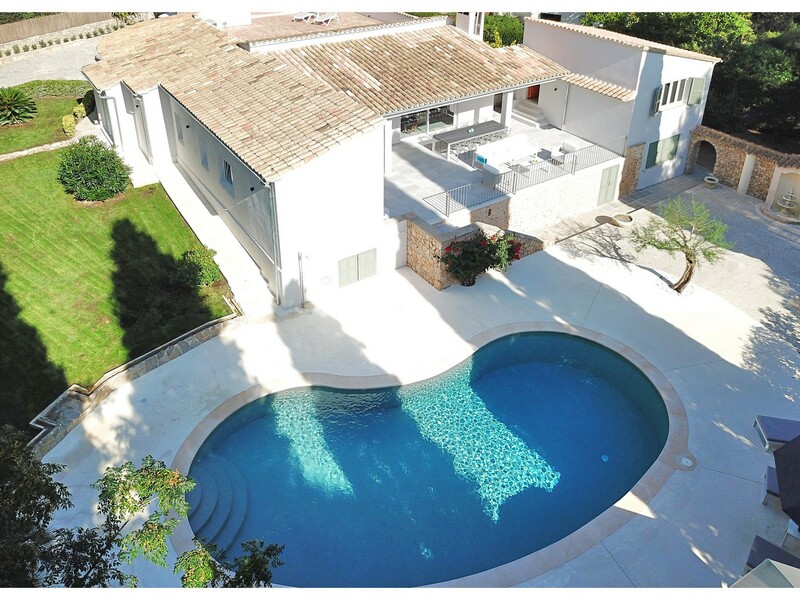 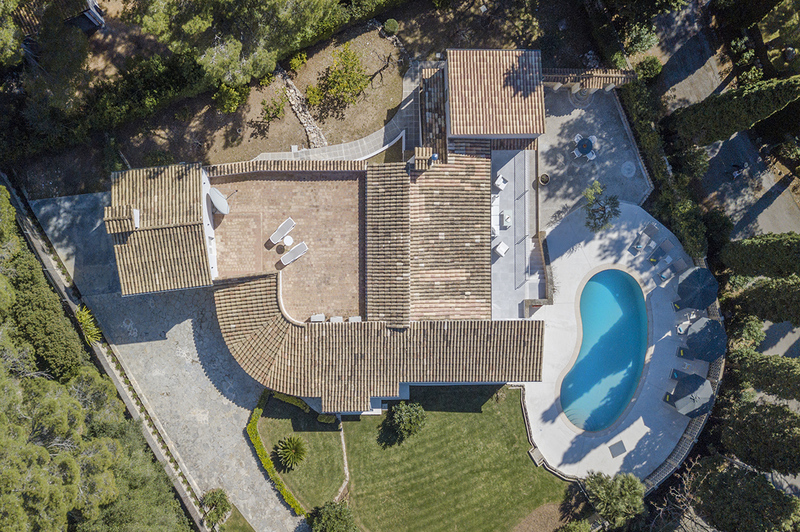 This is a detached villa set amongst large, lawned gardens, plenty of outdoor space and the all important swimming pool. 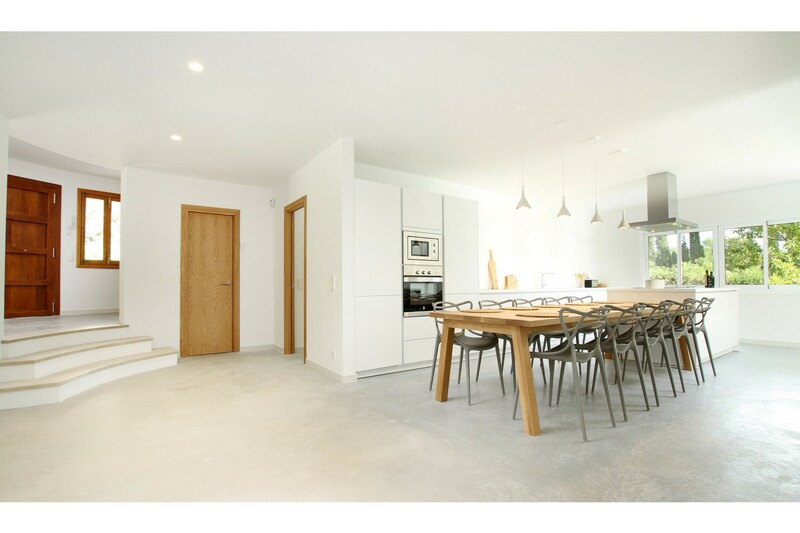 Entering through the front gate, there`s a short driveway where you can securely park your car and a garage containing bike racks and a cyclist`s workbench. 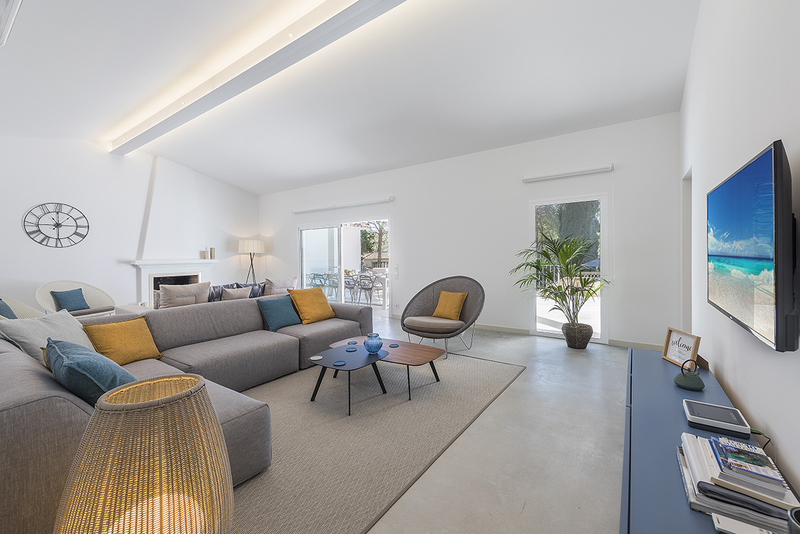 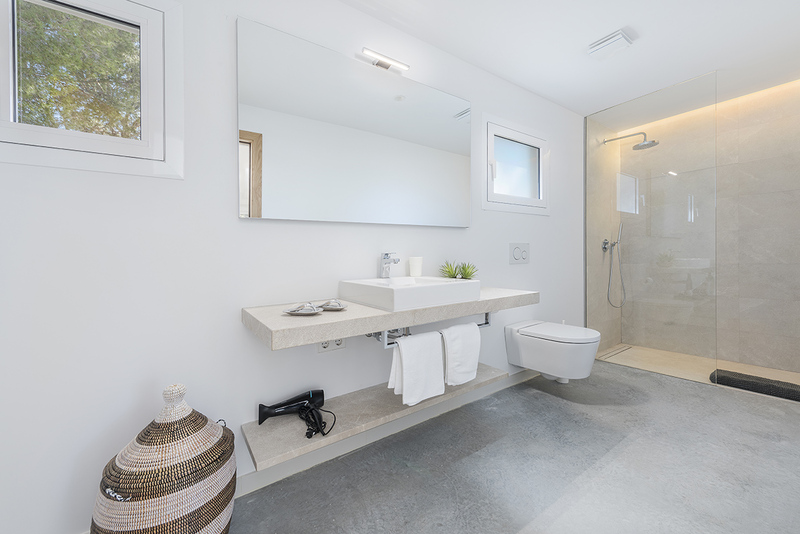 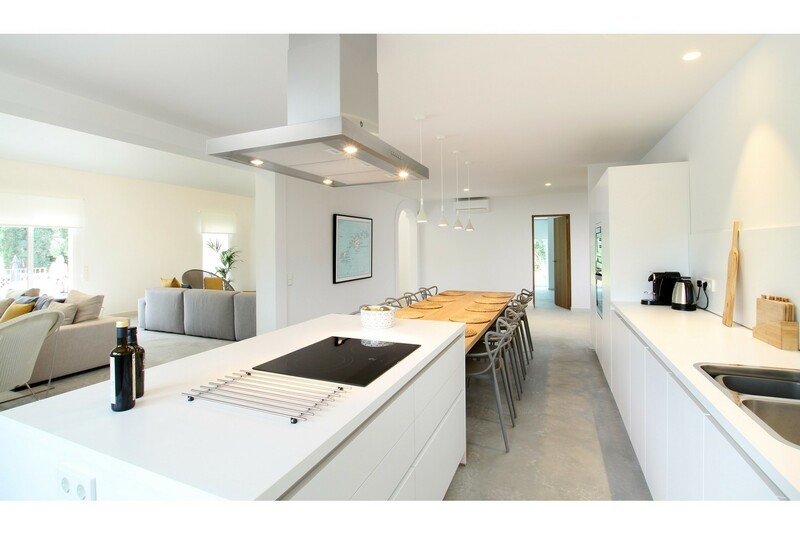 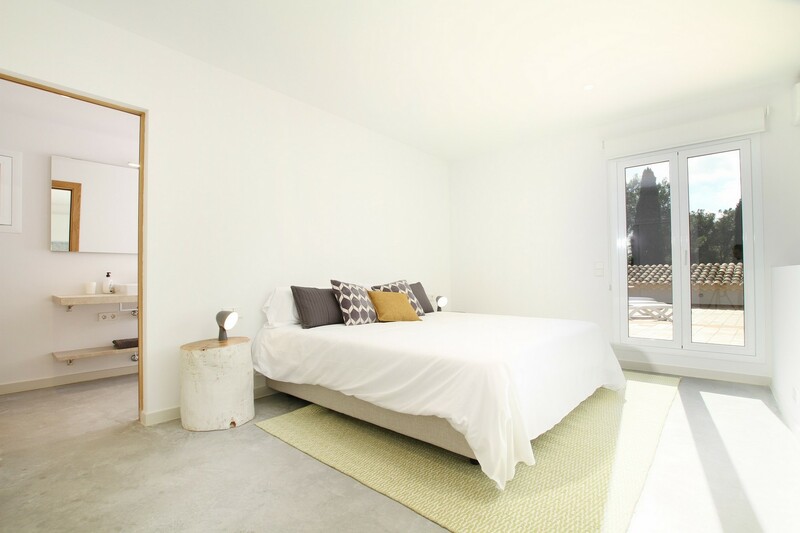 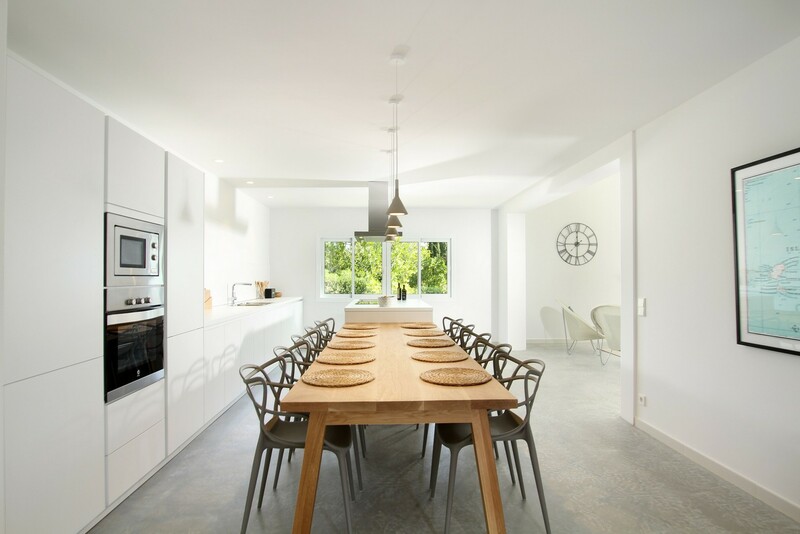 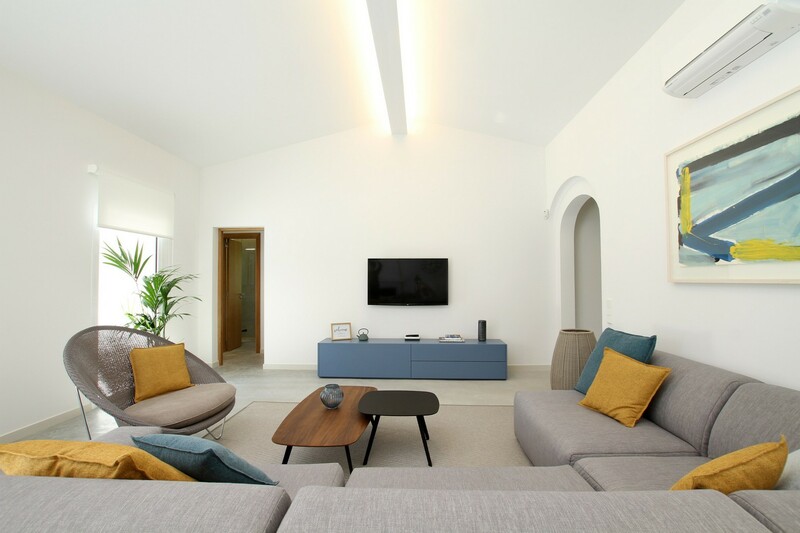 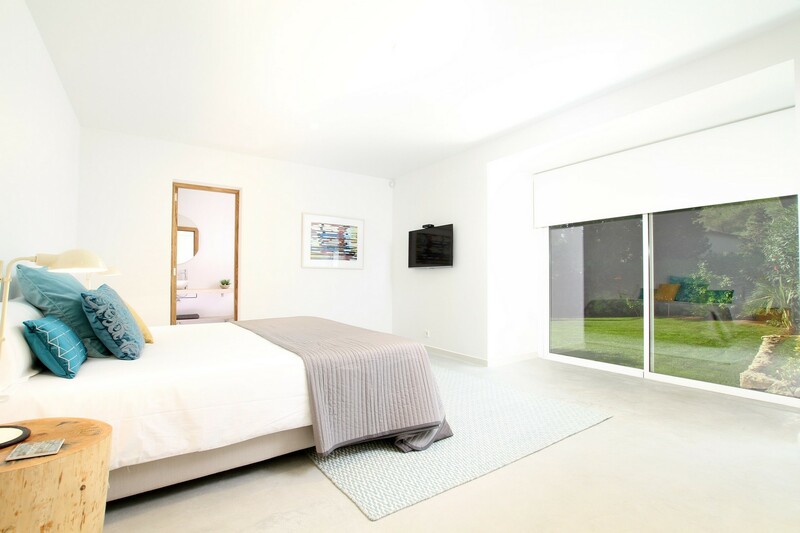 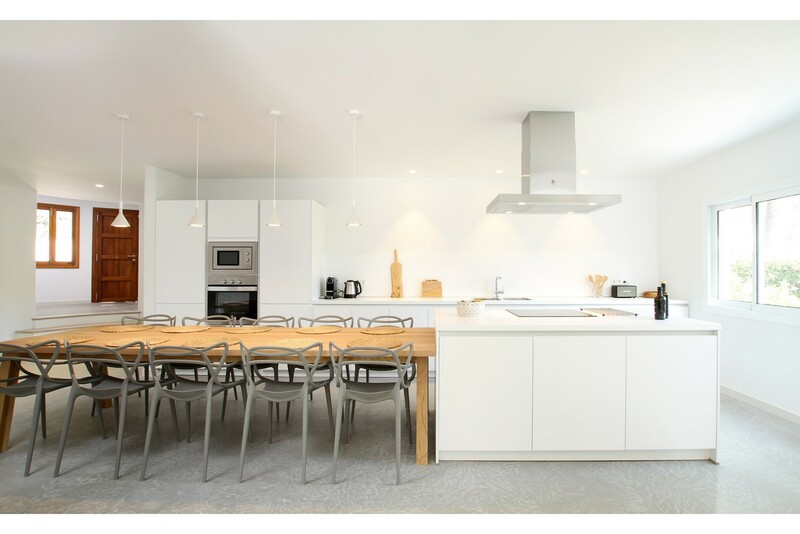 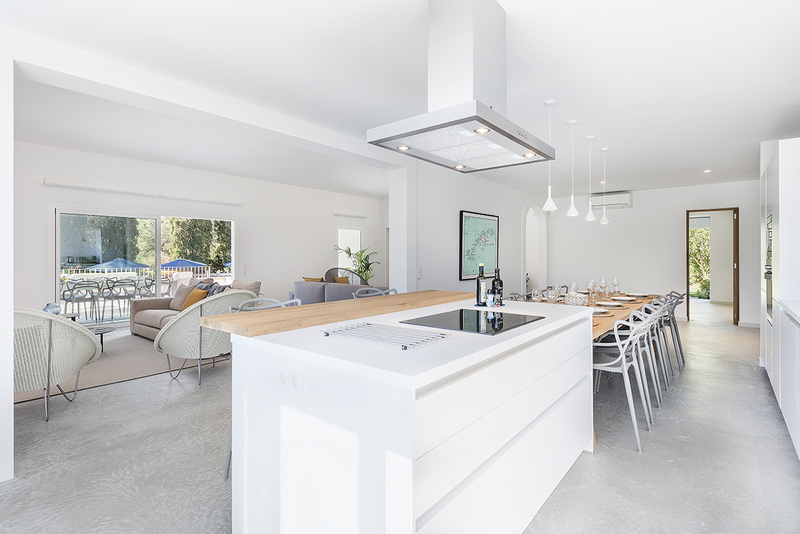 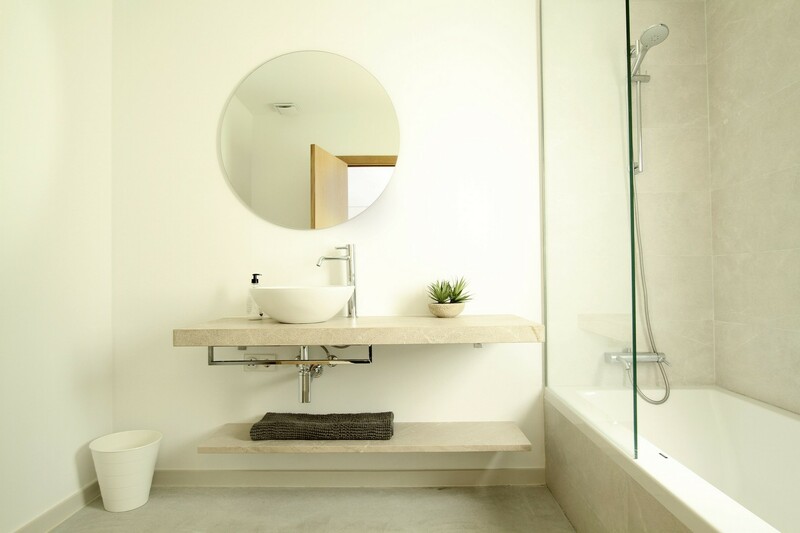 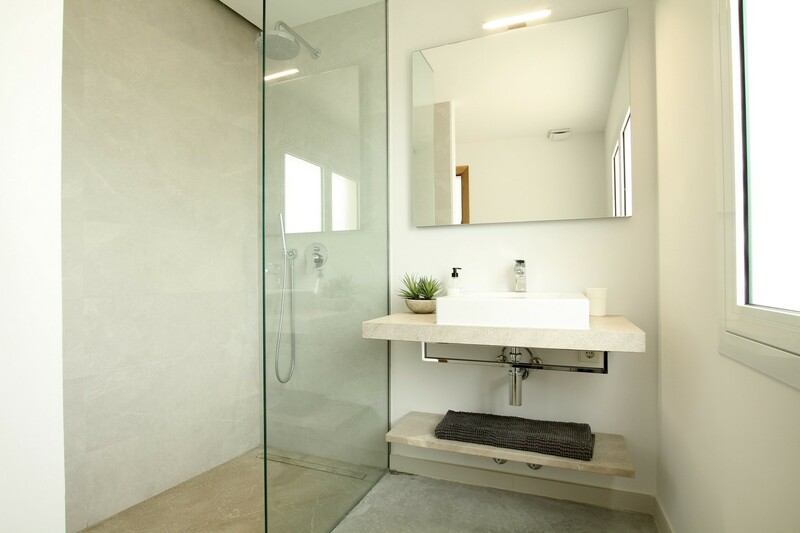 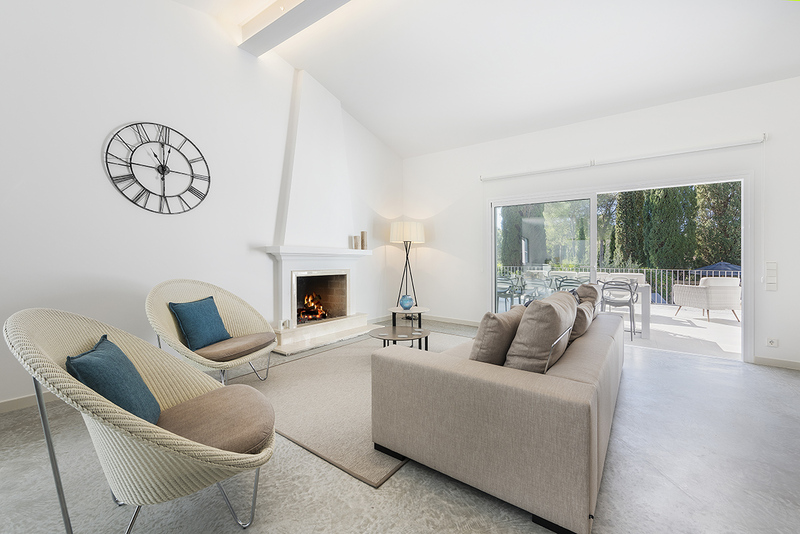 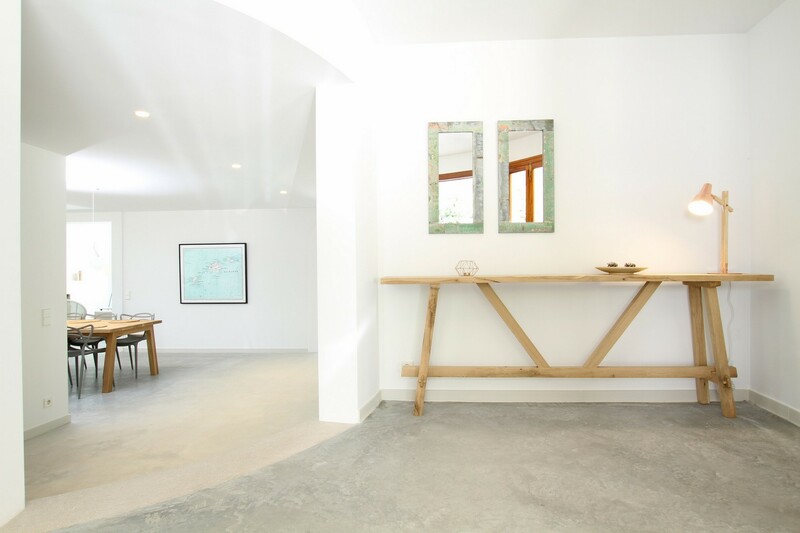 To the right hand side of the garage is the front door - head on in and you`ll be greeted by an immense sense of space, afforded by it`s modern makeover; bright white walls, fixtures and fittings are accentuated by pops of colour and wonderful decor. 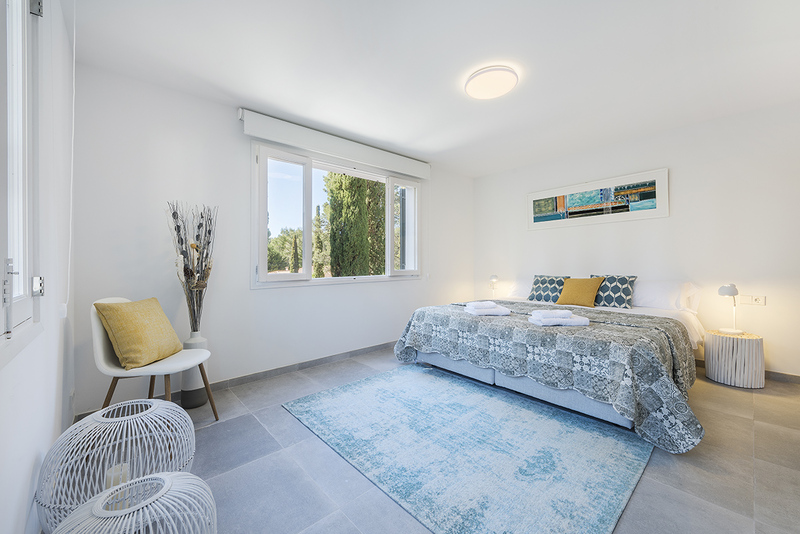 The villas 6 bedrooms are all en suite - the first can be found to the left of the main entrance, through a small hallway where you will also come across a guest WC and laundry room - head up the stairs here to find a private double bedroom with access to an ample roof terrace with a pair of sun-loungers. 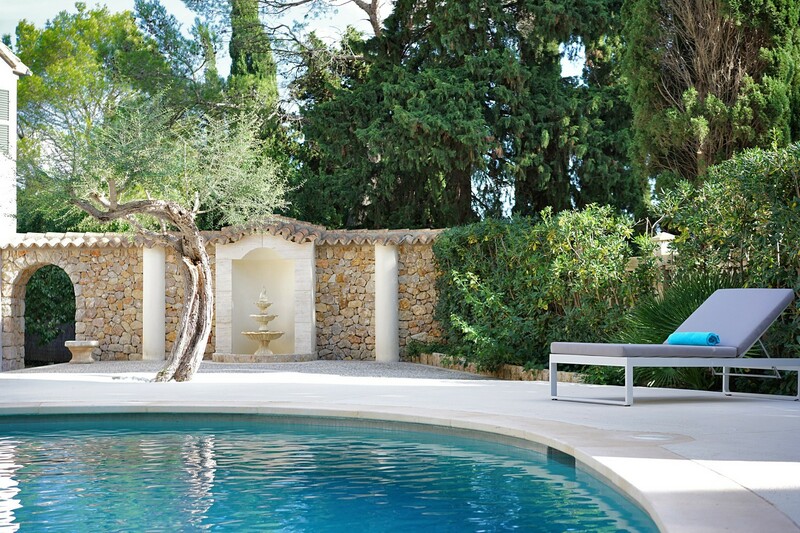 The highlight of the garden is the kidney-shaped deep blue swimming pool, which is surrounded by a stylish patio paving and luxurious sun beds and parasols, whilst on the west side of the property are several lawned terraces (don`t worry, the height difference is minimal, and child friendly) which make a great play area. 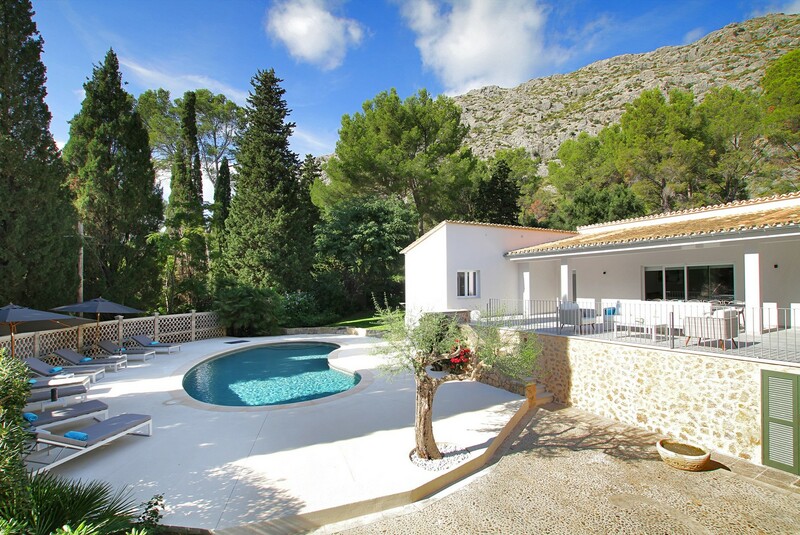 With Pollensa being just a gentle walk from the villa, and the beaches of Cala San Vicente just a 5 minute drive away, This is the perfect rental property for large families and groups looking to be out of the way, but within reasonable distance to all attractions and amenities.